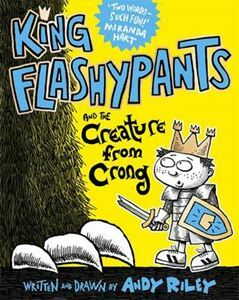 The second book in the thrilling and hilarious King Flashypants children’s book series. This time 9 year old King Edwin has to deal with Emperor Nurbison, AND a giant shambling Godzilla-size monster called the Voolith, AND his dislike of vegetables, all at the same time. But he’s got his best friends, he’s got a sword, and he’s got a horse the size of a labrador. Edwin’s ready for anything.